Reddit’s moderators quickly deleted the post, explaining that they need to remove links to pirated copyrighted material, which this apparently was. I say “apparently” because I haven’t tested out the files myself. The Redditor who found it, ProtoFaggot (who explains: “I want to apologize for my name, as it was the name given to me from 4chan to ensure they know who I am when I post this.”), said you’ll need an Xbox 360 dev or test kit to make it work. (I don’t have access to one at the moment.) But he has been posting videos from the build, which looks as rough as you’d expect. This, of course, is the version of Battlefront developed by the studio Free Radical way back in the day, before it was abruptly cancelled in 2008. Years later, Lucasfilm would go on to shutter LucasArts and sell the exclusive rights to Star Wars games to Electronic Arts, which released a new Star Wars Battlefront late last year. 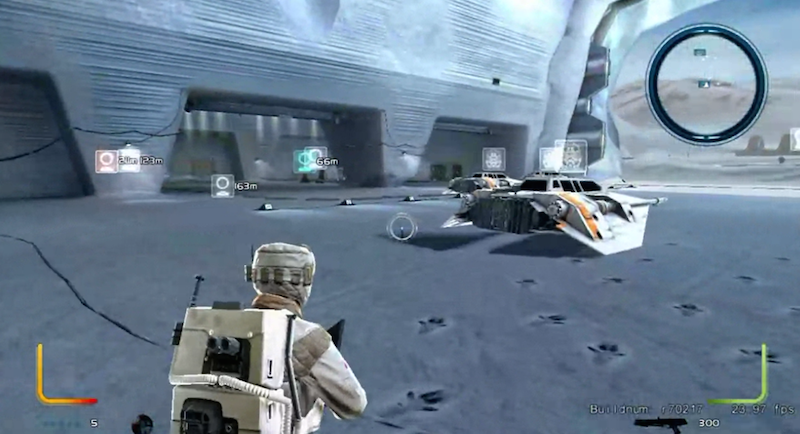 This isn’t the first time we’ve seen Free Radical’s Star Wars Battlefront III—the game has leaked in various forms quite a few times over the years—but it is the first time, to my knowledge, that anyone’s actually been able to play it.